Happy Chinese New Year - The Year of the Rooster. 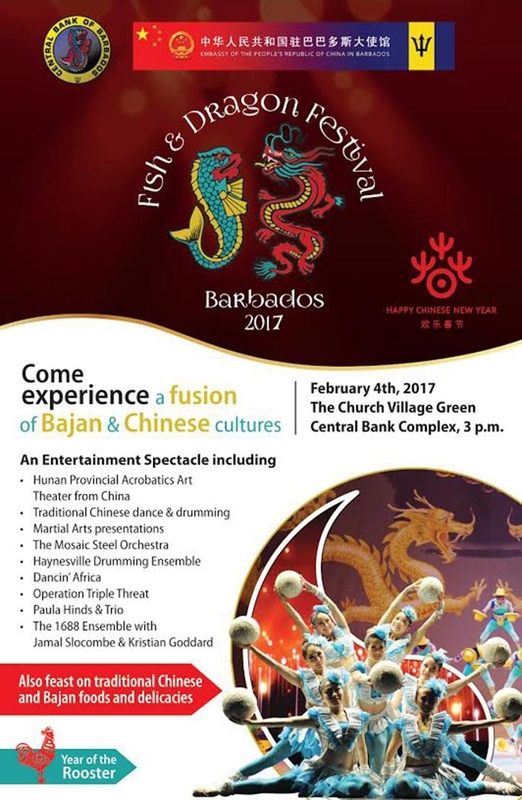 Come experience a fusion of Bajan and Chinese cultures on 4th February, 2017 at the Church Village Green, Central Bank Complex in Bridgetown at 3pm. Chinese and Bajan talent and entertainment, food and delicacies all in one afternoon! !